If you are in need of a top notch fence company in Fort Worth, TX, you have come to the right place. Whenever you need fence installation, fence repair, or fence replacement, you can depend on the professionals at Ware Fencing. With our services, we can work as a team to increase the property value of your home or property, in addition to the curb appeal and security! Our team works hard to make your fencing idea a reality. Contact our crew of fencing experts today at 817-948-4503 to discover more about our services, as well as your fencing options. 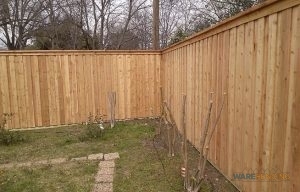 Fort Worth counts on us as a local fence company for consistent as well as dependable fence repair services. Though most residential fence installers have few resources, our team can even provide farm or ranch fence service to our clients. We provide a selection of home fence options such as cedar, chain link, as well as wrought iron, also. If you are looking for privacy, we recommend cedar, and if you are looking for something affordable that won’t block your view, aluminum is a great choice too. 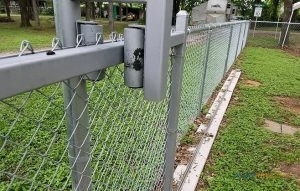 If you are looking for more security for your house, we do offer special security fences, in addition to the traditionally secure iron fencing. You can additionally contact us for custom fence designs, so no matter what type of fence you require, you can find it at Ware Fencing. If you need a reliable fence company in Fort Worth, TX, you can depend on us. Customer satisfaction is our primary objective, and we only use high quality materials to complete all projects. Our crew works very hard to make sure you get the precise fence you are searching for. Give us a call at 817-948-4503 today to set up your appointment, or to request a quote. If you need a fence company that won’t disappoint, we’re the professionals for the project.